Reach out to our company for a fast and accurate microwave repair in Howell, New Jersey! Whether your unit is making an unusual noise, is sparking, or won’t heat up at all, we can dispatch a well-trained pro to fix the problem in one go. We realize that microwave ovens have become a basic home appliance. In this speed-oriented age, they provide you with a great deal of convenience. Thus, it can be more than frustrating when this appliance simply goes out all of a sudden. In order to have your issues settled in short order, we send out a pro to offer same day microwave repair Howell service. All you have to do is to give us a ring and let us know about your troubles! If your microwave no longer runs efficiently, calling Appliance Repair Howell NJ should be your primary concern. Even though these units are quite affordable, it doesn’t mean that their replacement is always the best option to consider. So before you spend your money on a brand new appliance, turn to us and let a qualified tech check your existing one. With a wealth of experience in microwave service, the specialist can identify all common problems with no fuss. Be it a defective heating element, non-responding display or stuck door, you can be sure that the pro has everything needed to address the issue then and there. And if you want to prevent major failures down the line, we recommend you to schedule routine microwave service in Howell with us on an annual basis. Nowadays, there is a vast array of microwave ovens on the market. With so many brands and types available, you can easily choose the one that fits your needs and budget. If you select a built-in or over-the-range microwave, it’s vital to entrust its installation to a company you can trust. All techs we work with are well-versed in fitting various models. When choosing us, you can sit back and relax knowing your appliance is in capable hands. So what are you waiting for? Get in touch with us right away and we’ll provide you with more details about all services. 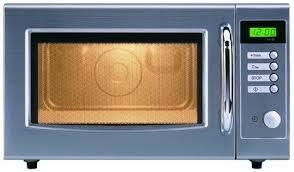 Do you need microwave repair in Howell as soon as possible? Call us now to schedule your service.